“We repeat what we don’t repair” – Christine Langley-Obaugh. It is interesting that, despite how much we try, often times we are left repeating the same situation, ending up with the same outcome and wondering, “Now, how the heck did that happen again?” Counseling is a great way to explore our hurt and troubles and learn ways to overcome so we no longer feel stuck anymore. 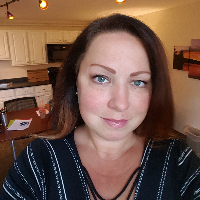 My name is Carrie and I am a licensed clinical professional counselor in Maine with 15 years of experience in counseling. I have worked with clients with a wide range of struggles and diagnoses including depression, chronic anxiety/stress, obsessive compulsive disorder, LGBTQ+ needs, relationship issues, bipolar disorder, borderline personality disorder, beginning stages of dementia, self-harm behaviors, sleep disorders, PTSD, and trauma-related issues. Populations I have served include adults, adolescents, college students, LGBTQ+, military service members and veterans, couples, and individuals caring for a loved one with some form of dementia. My counseling style is warm and hands on in the sense that WE are in this together, you no longer have to feel alone with your struggles! I take a laid back approach in my sessions, humor and speaking freely are highly encouraged, I do not get offended easily. I believe in treating everyone with complete respect, compassion, and unconditional acceptance. I am well trained in cognitive-behavioral therapy, dialectical behavioral therapy, prolonged exposure therapy, and am certified to treat insomnia from a cognitive-behavioral approach. You must realize that you have done half the work already by deciding to pursue counseling! Let me help you get to a happier place in your life where there is hope and excitement about your situation and your future. If after reading my profile, you believe I may be a good fit for you, then please do not hesitate to contact me, I’m happy to help! Thanks Carrie, You are a great counselor and I deeply appreciate your support, I had hoped I try to prove myself to you that I am doing my best as a patient and I am really grateful of some of the support you gave me and I'm hoping this group walk will help me out a little bit. I hope that you'd see an improvement in me over time and I really like what you do in helping me out in times that shows great improvement from you. I really think you were the best counselor I could ever find and I hope I'll make some significant progress just one step at a time. Thanks. Would you like to write a review for Carrie Gosselin? We'd appreciate if you can spend a couple of minutes to write a short review for Carrie Gosselin (MA, LCPC). This review would be shared with Carrie Gosselin. It may also be posted in our website or in Carrie Gosselin's profile but it would be anonymous and your identity would be kept completely confidential.